Hillcrest Home of Keowee Inc.
We specialize in mountain and lake Inspired homes at the Cliff's and The Reserve Communities at Lake Keowee. Knight Strategies is a professional service company providing Landscape Architecture, Land Planning and Project Management Services. We have worked throughout the Southeastern United States in a variety of market sectors and bring added value to projects through our unique perspective of having served as project designer, planner, contractor, and project manager. The Upstate is the fastest growing region in South Carolina and we want to be a part of that growth with home construction, remodeling and renovation projects in Greenville, SC, and surrounding areas. 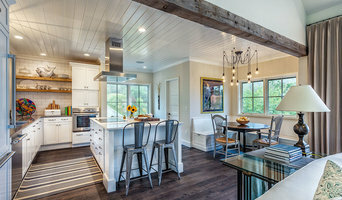 Customize your existing home with interior and exterior remodels or build a new home that reflects the uniqueness of you and your family with custom home construction by Cornforth Construction. Cornforth Construction is a locally owned and operated contracting company that has worked to improve Upstate, SC, properties for over 18 years. With a background in construction and 18 years of experience in framing and remodeling, we can handle any new construction or remodeling project in the Greenville, SC, area. Call today to discuss making your dream home a reality. Riverstone Development Group, Inc. is a full service general contractor & construction manager who has crafted a reputation for providing the finest price, quality, & service that is unsurpassed. 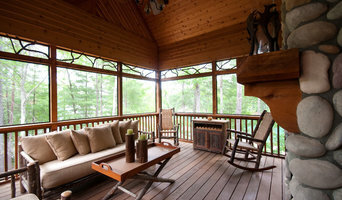 Creating custom homes & renovations from the mountains to the coast. Riverstone’s principals retain over 40 years combined construction project management expertise and in excess of one billion dollars of completed projects throughout the country. Often in the construction industry clients are forced to compromise values in selecting a contractor. With our diverse experience in construction management we understand the needs and expectations of our clients, and challenge ourselves to exceed them. Your construction project will be built with the same care and expertise we demand. Please feel free to call us and see how we might serve your construction project needs. We are more than happy to assist in any way possible. We look forward to meeting you and helping you to build your dream project. The Preferred Residential and Commercial Builder From the Mountains to the Coast! GCI Services, Inc. is a professional licensed, bonded and properly insured contractor with over 18 years of experience in the painting and home improvement industry. Our customers enjoy knowing that the end of the day their job will be left in a neat and tidy order with a job well done. Design-build firms take on the responsibilities of architects, contractors and construction companies, all under one roof. These full-service firms focus on a streamlined design-build process — from the initial design to the estimating phase to physical construction — in the hope of creating an efficient experience for both the client and the company. Because the entire project is happening within one company, Arial design-build firms are able to overlap the design and construction phases of the project, which often speeds up the project significantly. In addition, these firms work to minimize risks for the project owner through single-point responsibility contracts. However, depending on the firm, you may still want to contact an interior designer or architect to help create the exact look you want. Here are some related professionals and vendors to complement the work of design-build firms: Interior Designers & Decorators, Landscape Architects & Landscape Designers, Architects & Building Designers, Photographers. 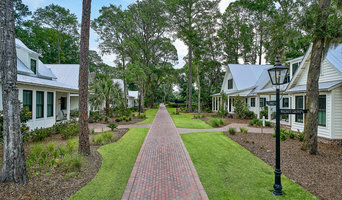 Before deciding on a residential design-and-build company in Arial, SC, think about what you want from your new home. Do you want a large kitchen for entertaining? Do you need several bedrooms for children and guests? Do you want a finished basement for extra space or storage? Look for Arial design-builders that specialize in the areas you're looking for. Budget is obviously a determining factor in the outcome of your project. To make sure you stay within your means, consider making a must-have list and a wish list. Gauge where the estimates are falling to determine which design-build contract can realistically strike the balance between the two. Find an Arial design-build company on Houzz. Narrow your search in the Professionals section of the website to design-build firms in Arial, SC. You may also look through Arial, SC photos to find a pool you like, then contact the design-build firm that created it.